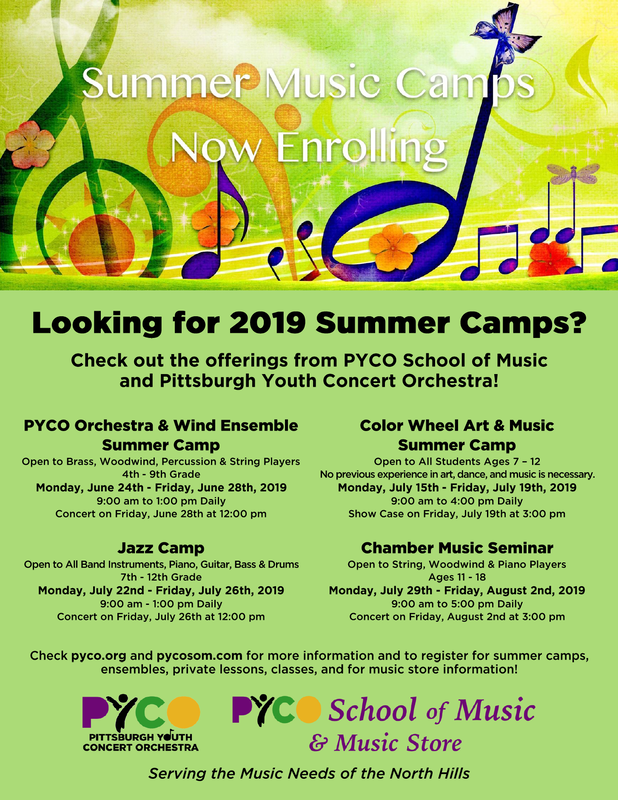 ​Check out the offerings through ​Pittsburgh Youth Concert Orchestra & PYCO School of Music! ​Open to All Students Ages 7 - 12 | No previous experience in art, dance, and music is necessary. Click here to download a summer camp poster.